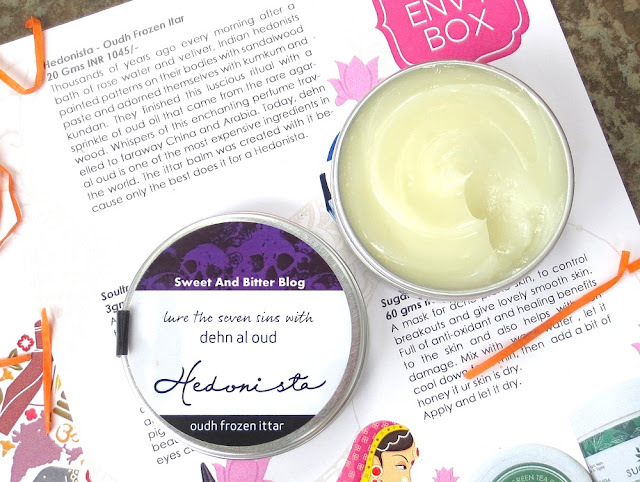 Hedonista Oudh Frozen Ittar (Rs. 1,045 for 20g) – This solid perfume reminds me of L'Occitane En Provence Cherry Blossom (Fleurs de Cerisier), The smell is just perfect for monsoon – smoky, woody and remind me of lush green forest. It is light and yet last really long. I also loved the Hedonista face pack of June box. Hedonista also retails another solid perfume in a floral variant. But, the texture of this ‘frozen ittar’ is much softer and gooey than general solid perfumes. It is hand made and contains majorly of oils. A little bit seeped out of the tin tub while traveling. Though it is great, it is not travel appropriate. 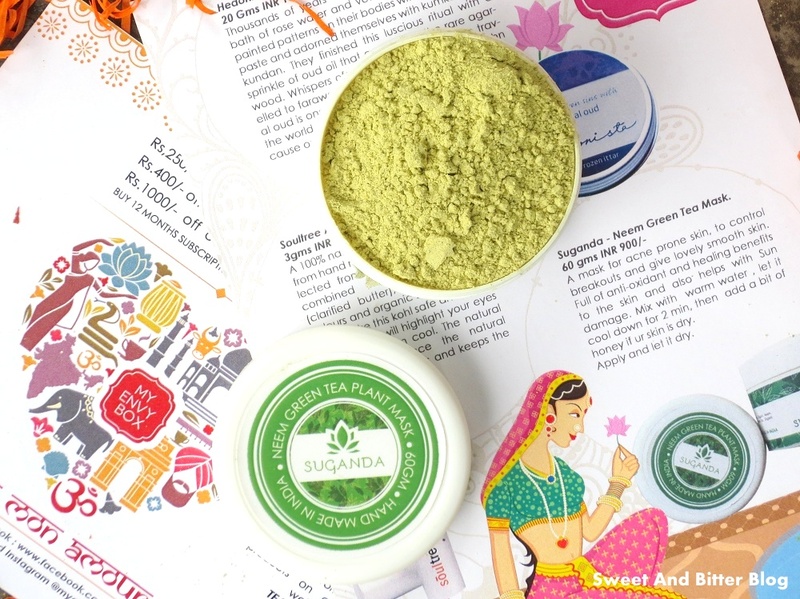 Sugandha Neem Green Tree Plant Mask (Rs 900 for 60g) – A rice based face mask with neem and green tea. It claims to be suitable for acne as well as sensitive skin. It needs to be soaked in warm water for 2 minutes before use. Cannot wait to try this out. 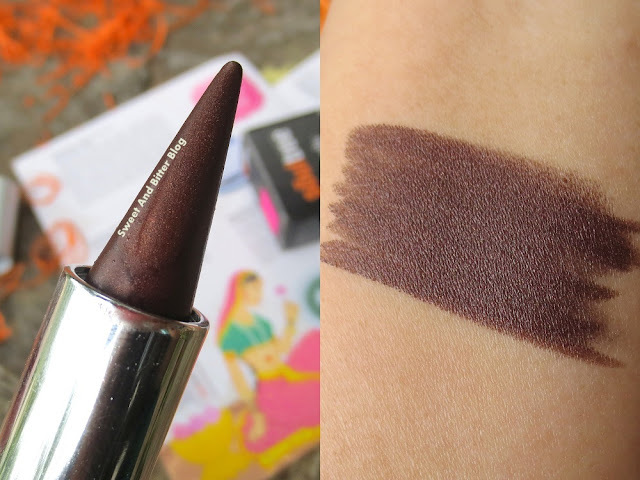 SoulTree Ayurvedic Kajal Color Kohl in 007 Rich Loam (Rs 350 for 3g) – I have already tried this earlier in March’s FabBag. This time, I received a dark brown with slight shimmers. The color (007 Rich Loam) is suitable for daily use. The color glides easily and works as an eyeshadow as well. A great travel-friendly multi-tasker if you as me. 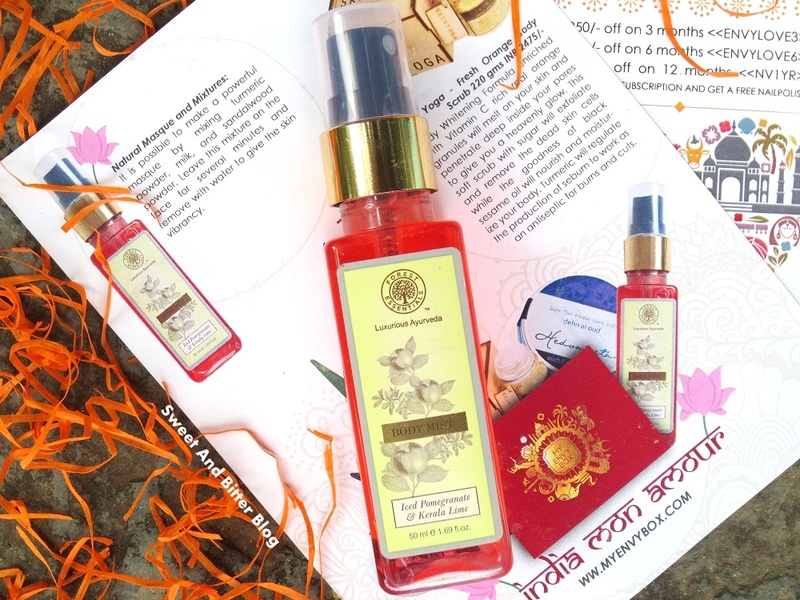 Forest Essentials Iced Pomegranate & Kerela Lime Body Mist – This is a new range by Forest Essentials. I already tried the whole range in the Forest Essentials Gift Box with shower gel, sugar soap, body cream and body mist. The product is really good and this is the best product in its range. As it is not sold in travel size, I am glad that I have a backup. I am liked this edition because I got products from Indian brands of International standards. The box has two fragrance related items (frozen ittar + body mist) so, it will be very disappointing for someone who might not like the smell of those two. SoulTree kajal which doubles up as kohl is really great. I am yet to try the mask. What do you think about the My Envy Box's August edition box? 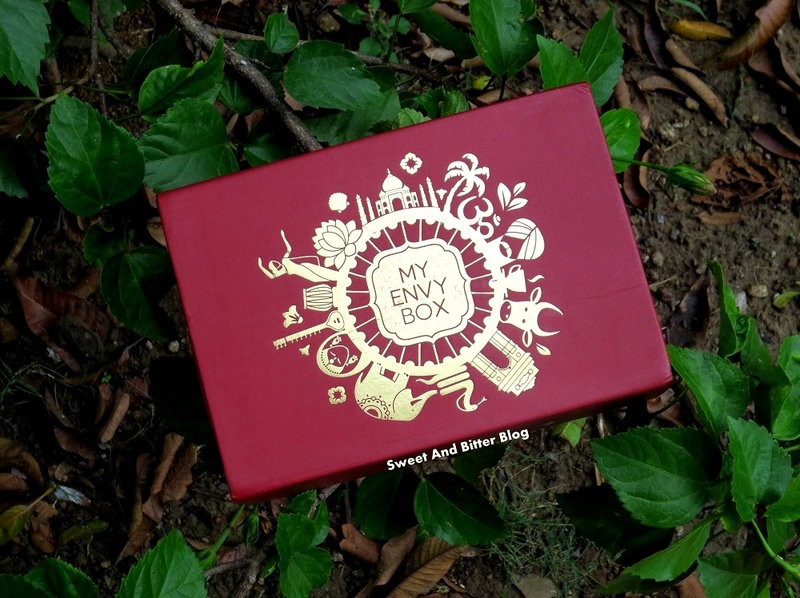 My Envy Box was priced at Rs 850 for a month. They are completely worth as you get product worth around 2-3 times of the box's price. You get it cheaper if you subscribe for multiple months. Also, don't forget to use discount coupon SHAYD for additional 15% discount. Subscribe HERE.